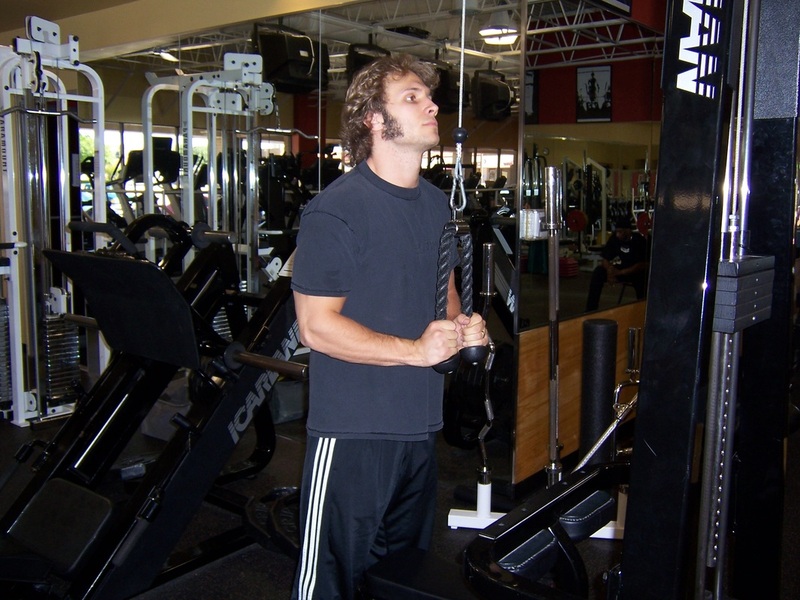 Dallas Personal Trainer - A favorite of nearly every Dallas personal trainer and a very effective exercise for creating tricep definition. Not the greatest exercise for creating size however. Exercises such as Close Grip Bench and Lying Tricep Extensinos are much better for creating tricep growth and strength. 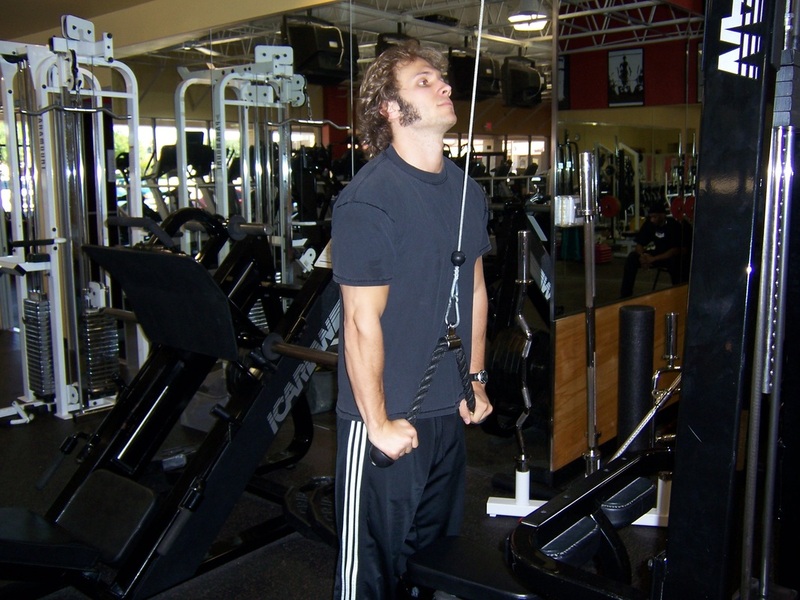 This exercise is performed exactly the same as Cable Pushdown except it is performed with a rope instead of a straight bar. At the bottom, take advantage of the rope’s flexibility and contract the triceps as tightly as possible, by squeezing your wrists out to the side slightly.